Island Smokes, the New York City roll-your-own-cancer business, has two locations and was planning to open more, but has agreed to shut down February 1 instead of fighting a city lawsuit that alleged they were evading taxes. By just selling the raw supplies and providing rolling machines, the stores could move a pack for under $5, dodging the oppressive city and state fees. 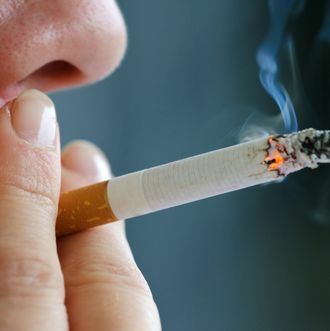 “The success of this lawsuit should serve as a reminder to others thinking of ‘gimmicks’ to skirt New York City’s tough cigarette laws that the City will enforce those laws vigorously,” said the city’s lawyer, probably while chomping on a victory cigar he lit with tax dollars.